Thank you so much for listening. We love doing the show and learning along side of you. In this episode we discuss some freshness techniques/ideas and say "thank you for listening" alot. Thanks for listening. What a great time with some great gentlemen, Austin and Tim. We had a blast and we know that you maybe/might/possibly learn something coffee related. We sure did. Shane made you listeners a really cool offer in this episode! We hope you take him up on it! Check out this super fun part 1 of our interview with Shane. What a fun guy to talk coffee with! These two were an absolute pleasure to talk with. 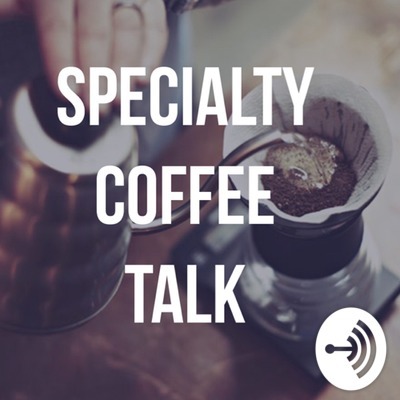 If you have any interest in coffee, trees, process, varietals or life in general, you don't want to miss this episode. In this fascinating conversation with Ben and Kristy Carlson, we get to hear all about how they came to own a wash station in Burundi. It's an exciting story, so take a listen. Steve Cuevas is the U.S. tasters cup champion of 2017 and roaster at Blackoak Coffee Roasters as well as an all around coffee geek. We talk to him about learning to taste, roasting, and much more! Today, we talk about cold brew and give you our recipe for the most tasty brew you can get. Eric joins Philip as they discuss what they’ve been drinking, what recipes they are using, and what they’ve learned. Today, we talk to Alicia Roquet who is the Manager of a brand new coffee house in Crestline Ca. We discuss her coffee Journey, and what the struggles have been to open up a new shop. Hello all! Thanks for listening. I talk to you about My coffee journey to the best V60 recipe. Did I succeed? You be the judge. We continue the fun with John from Abide, and enjoy a delicious cupping. In this Episode, we talk to Jon from Abide Coffee Roasters. We talk more Coffee water and interview a chemist on how different minerals affect what we are tasting. In this episode we learn how much the water you use to make coffee affects the resulting flavor. Spoiler alert: it matters A LOT. We're back after... Forever! Eric and Philip discuss Abide Coffee Roasters, learning how to taste coffee, and the very large Elephant in the room. Today Eric and Philip talk about a new V60 recipe, and how Scott Rao changed the way they view brewing. Today Eric and Philip are back to the Coffee Talk as they discuss Eric's recent trip to San Diego and baristas with their noses in the air. We interview Tony Boswell about all things Coffee. Where he started, what he's doing now, and what we are looking forward to. Today Eric and Philip Discuss their new foray into roasting and what they are tasting. Also, a glowing (HaHa) review of Angels Cup. Today I taste coffee like my life depends on it! Eric and I went to a few coffee shops. We talk about it. We talk about where to buy quality coffee, what do coffee notes mean, and our favorite regions for coffee. 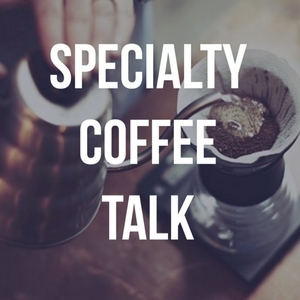 BEGINNER FRIENDLY: Today you'll hear us talking iced coffee/Flash brew. We take a semi-deep look at what it is, and how you can make it yourself.